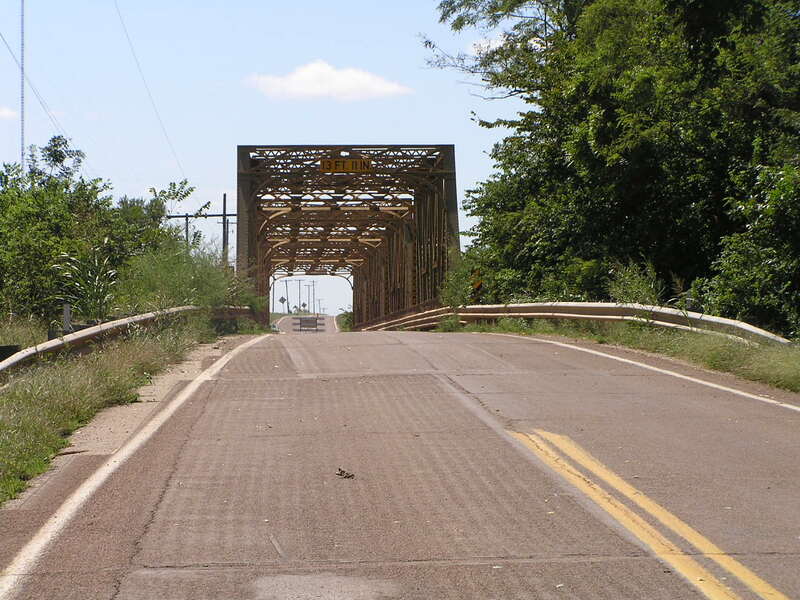 Above and Below We see the bridge over the Salt Fork River on OK 156. 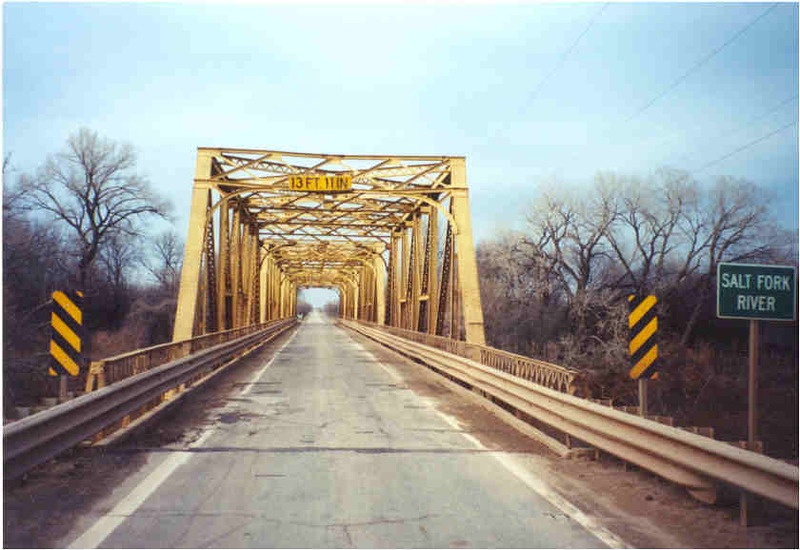 These photos show the bridge in December of 2000. 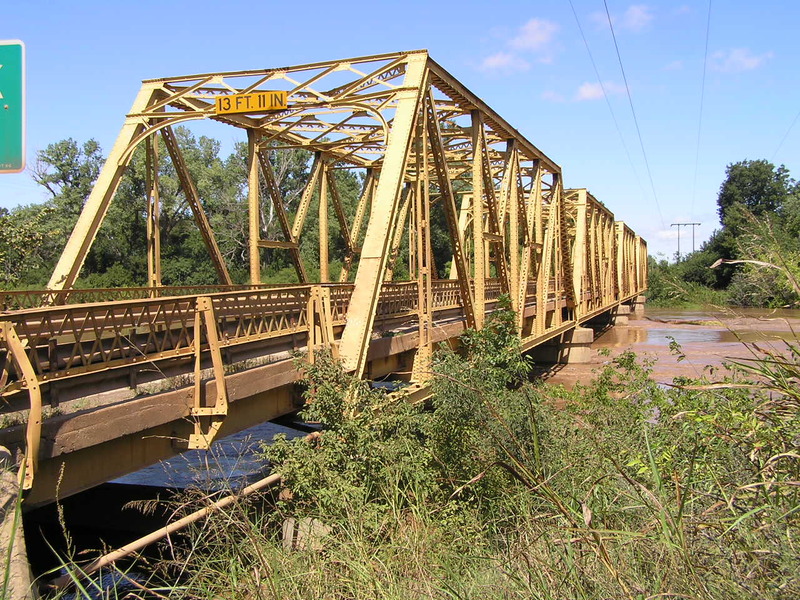 Built in 1924, this bridge originally served the first State Highway 4, until the US routes arrived in 1927, after which it carried US 77 until sometime in the 1960's when US 77 was rerouted. 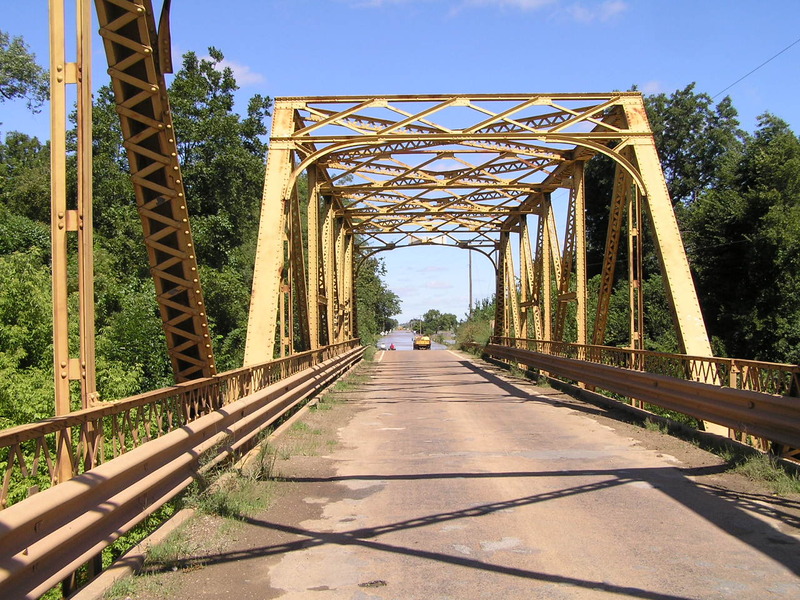 This bridge is also located adjacent to the famous Miller Brother's 101 Ranch. Above, the bridge looking north. 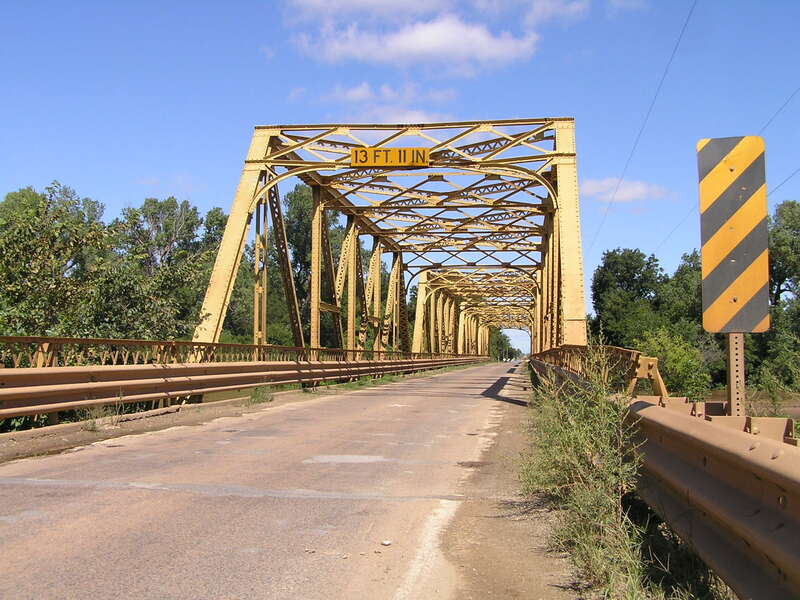 We revisited the bridge in September 2008, when the Salt Fork was at a record flood level. 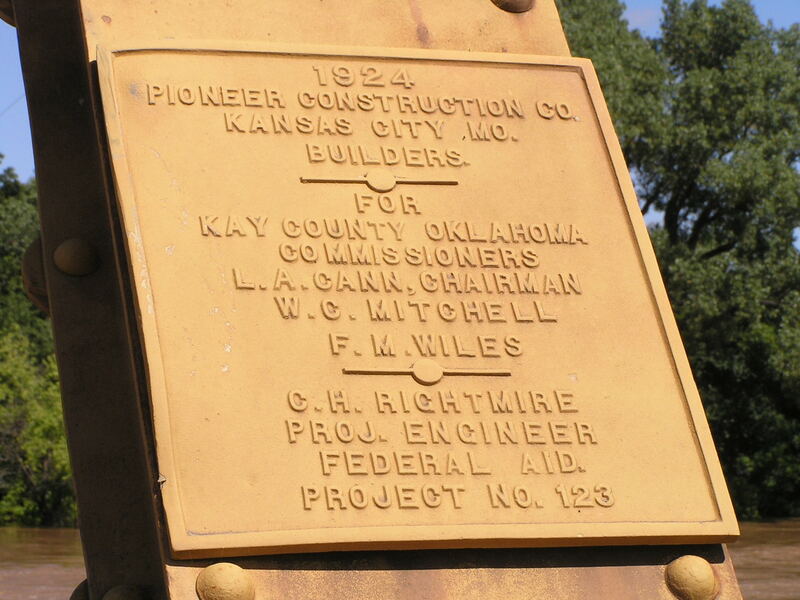 Below, the builder's plaque on the SE endpost. Below, a oblique view looking northwest. 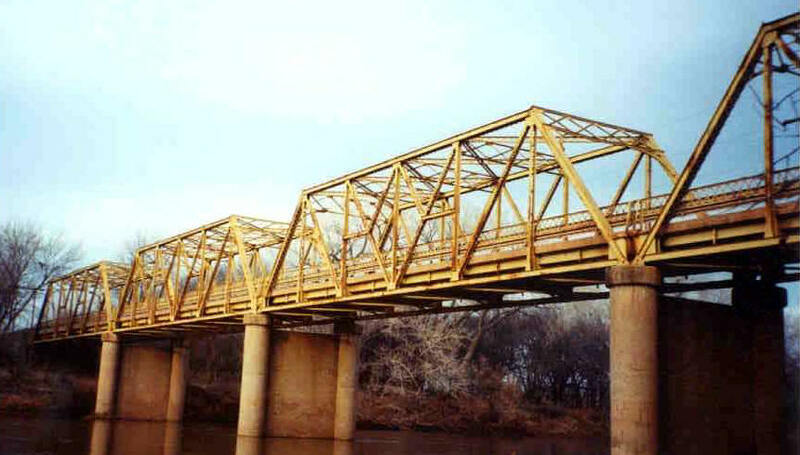 In addition to the four through spans, is a 20-foot steel stringer approach, which continues the lattice railing of the through spans. Above, a view looking south through the bridge. Below, this view through the north span explains why the road is blocked in the picture above. The Salt Fork was high enough that the low area north of the bridge was submerged. 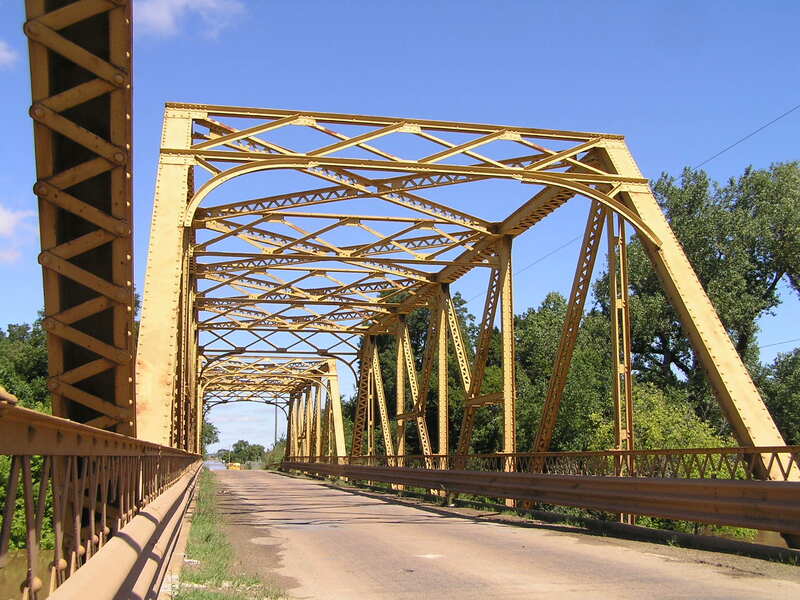 This is really a nice bridge in a history-rich area.